Happy Mondays indeed! News has just reached Tickets There (cheers Bru) that the original Happy Monday’s line-up are playing a number of dates in May and yes, there’s an Dublin one!. May 15th. The MADFORIT-MunDAYS will hit Dublin’s Olympia theatre for a nice of thrills, pills and dare we say – bellyaches? Oh fact, this will be the Monday’s first Irish gig since 2007 when they also played the Olympia on their Uncle Dysfunktional (savage album) tour! 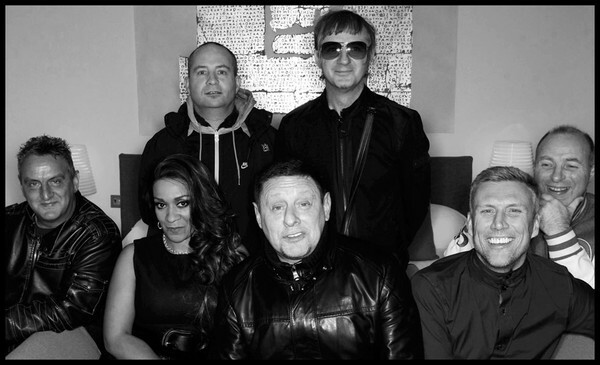 Expect to see Shaun, Paul, Bez, Rowetta and the gang have also been tipped to land support for the reformed (and far less fun) Stone Roses when they return to Manchester stages later this year. If this will go ahead or not is still to be confirmed. The full list of dates announced so far can be found below, we’ll follow up with price and sale date for Dublin as soon as we know it. 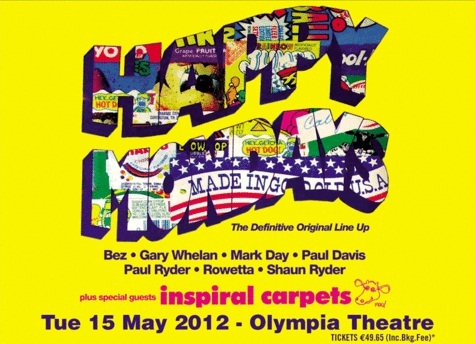 This entry was posted on January 30, 2012 at 1:22 pm and is filed under INTO-NOISE!, Music, News with tags 2012, Irish show, original lineup reform, The Happy Mondays, The Olympia, Uncle Dysfunktional. You can follow any responses to this entry through the RSS 2.0 feed. You can leave a response, or trackback from your own site.